Rotherham United got their first away point at the season on Tuesday night at the same time as keeping a clean sheet in a battling performance at the Riverside Stadium against a Middlesbrough side who were top of the Championship at the time. An even first half saw the Millers get an early chance when Michael Smith got hold of the ball and sent a good cross into the box but the ‘Boro defenders dealt with it. Stewart Downing was finding himself in quite a bit of room but was foiled by both Zak Vyner and Richie Towell. On the twentieth minute the visitors had three corners on the trot, all coming to nothing, before some quick thinking by Kyle Vassell saw him run down the left and putting the ball at the feet of the onrushing Ryan Williams who looked to have an easy tap in but ‘Boro ‘keeper Darren Randolph thought differently and jumped on the ball smothering it. The hosts went straight up the other end with Jonny Howson who sent Martin Braithwaite clear on goal but his effort was clumsy and he lifted his shot straight into the arms of Millers’ ‘keeper Marek Rodak. Several times Rotherham put crosses into the box forcing corners which came to nothing before Downing, at the other end, sent a free-kick straight into the wall of blue and black which was put away to safety. Just after the half-hour mark a ball fell to Will Vaulks some twenty-five yards out and the skipper for the night let fly but it went high and wide into the Middlesbrough fans behind the goal. A lovely pass from Mo Besic for ‘Boro found Braithwaite but his ball across goal found no-one and just before half-time Braithwaite saw a half-chance go wide while Aden Flint headed headed over the crossbar. Will Vaulks was perhaps a little unlucky to find himself yellow carded early in the second half for a pull on Martin Braithwaite’s shirt with the following Stewart Downing free-kick being well blocked by the Millers defence. A cross from George Friend found Jonny Howson but his shot only found the Rotherham defence before Richie Towell sent a superb ball in to Ryan Manning who saw his shot go just wide of the upright. After the visitors dealt with a number of Middlesbrough corners a cross from friend found the head of Daniel Ayala who headed wide. Just before the hour mark a Downing shot was parried away by Marek Rodak with the rebound falling to Britt Assombalonga who couldn’t control his shot under pressure from Clark Robertson. Ryan Williams made way for Ben Wiles for the Millers on the sixty-first minute. Both Assombalonga and Downing missed chances before a double substitution from the hosts saw Rudy Gestede and Sam McQueen on for Martin Braithwaite and Paddy McNair. Ryan Manning had a chance for the Millers from just outside the box which went high before a great save from Rodak from Assombalonga kept the Millers in the game. With just less than fifteen minutes to go Michael Smith tried his luck from distance only to see a fantastic fingertip save from Darren Randolph stop the visitors opening the scoring. The next substitutions saw Kyle Vassell replaced by Anthony Forde for Rotherham and Jordan Hugill replace Britt Assombalonga for the hosts. Mo Besic sent a ball in for Gestede but Rodak was there to save while a header from Flint flew over the crossbar. In time added on another good cross from Smith to Manning saw the QPR loanee’s shot blocked before a Vaulks cross found Towell who saw the ball go high and wide from his shot. As the clock ticked down Jamie Proctor made his long awaited return from injury coming on for Michael Smith but didn’t have much to do before the whistle went for full-time. As the whistle went for full-time the two hundred and sixty-five Millers fans stood as one to applaud their players after the gutsy performance they’d put in on the night. 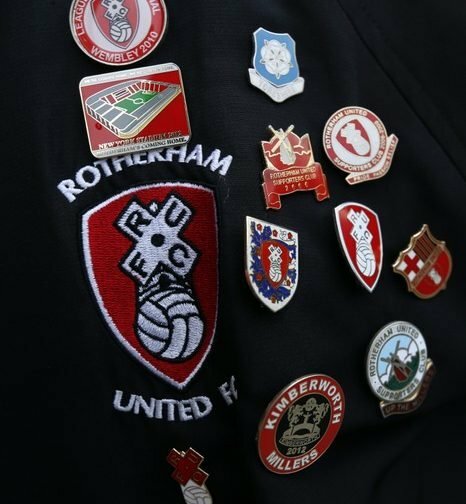 You really couldn’t have asked any more from Rotherham United.